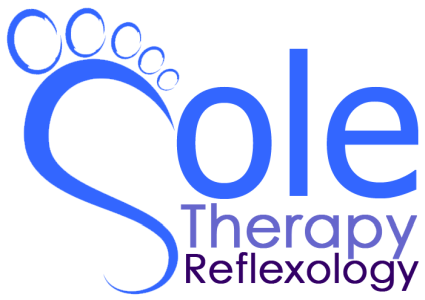 Sole Therapy Reflexology, based in Orpington, focuses on improving its clients health and well-being by providing a treatment that is personalised to the individual. The aim at Sole Therapy Reflexology is to provide the client with a calm and pleasurable experience that is tailored, to bring deep relaxation and to help with any specific ailments identified during the initial consultation and throughout the relationship. Only organic products are used and the relaxing therapy space is enhanced with soft music, warmed oil and heated cloths. Reflexology for all ages - babies, children through to mature years​. Emma is a qualified Baby Reflex (babies from 4 weeks to 10 months) and Baby Reflex 4 Toddlers practitioner (children aged 10 months to 3 years) as well as having diverse experience in working with and treating children. ​The focus at Sole Therapy Reflexology is to ensure that you get most from the session, and as such the appointments are slightly longer than usual (with STR sessions lasting approx 70 minutes) to ensure that, as well as having the necessary time to providing the right treatment, there is also time to provide any appropriate aftercare suggestions and to discuss anything that you may wish to raise. ​The aim is to ensure that you have the right experience from the moment you step through the door until the moment you leave, not just whilst you are receiving the treatment. ​My name is Emma Clark and I am the therapeutic reflexologist at Sole Therapy Reflexology. I am a mum of 2 young boys and prior to becoming a reflexologist I worked within health and education. I am a former Midwife, have worked in adult education and in schools with children with additional needs. As a Midwife I used reflexology and when traditional healthcare couldn’t help with my health problems I tried it for myself. I benefited greatly with a reduction in tension, chronic pain and hormone related symptoms. I became inspired to become a reflexologist to support others coping with day to day stresses, challenges and health issues. I trained at the London School of Reflexology under Louise Keet, an expert and author of many books on reflexology. I have a Degree in Midwifery, a Diploma in reflexology, as well as training in a range of specialised reflexology treatments.​ I am a member of the Association of Reflexologists, the Complementary Natural Healthcare Council, and the Complementary Support Team UK which provides therapeutic support to communities at time of crisis. I am fully insured and CRB checked. ​Why chose a member of the Association of Reflexologists? The Complementary and Natural Healthcare Council (CNHC) was set up by the government to protect the public. The government recommends that when people are looking for a complementary health practitioner, such as reflexologists, that they only consult a practitioner on an accredited register such as CNHC’s. I am a member of the CNHC and this provides further assurance to clients of my standards of conduct and that I am professionally trained and fully insured to practise. CNHC registrants work in private practice, the NHS and a wide range of other health and care settings. General Medical Council guidance to doctors confirms that they are able to refer patients to practitioners on accredited registers – this includes all CNHC registrants.